A current Seward library card in good standing. A password for your library account. 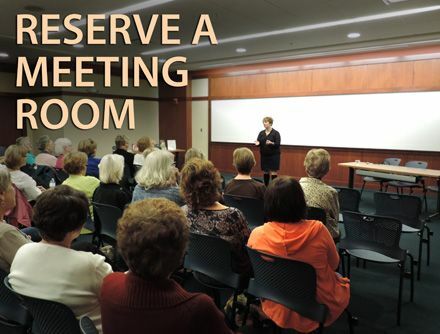 Any nonresident living in Seward, Butler, Lancaster, Saline, or York Counties may support the library by purchasing a membership for $25.00 per year or $15.00 for six months. This includes access to Overdrive. NebrasKard patrons from these counties may not use the Overdrive service but could purchase a nonresident card. 6 items may be checked out at a time. 3 items may be placed on hold at a time. Items will never become overdue or accumulate late fees. When an item expires, you simply will not be able to read or listen to it anymore. Items cannot be renewed. If no one is waiting for the item, you could check it out again. 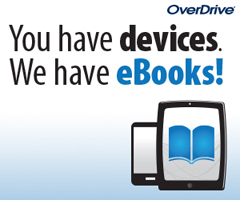 eBooks can be checked out for 7, 14, or 21 days (you choose in your OverDrive settings). 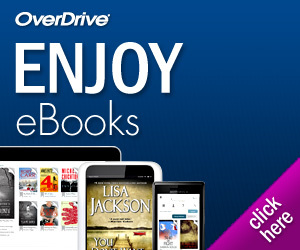 Audiobooks can be checked out for 7 or 14 days (you choose in your OverDrive settings). RBdigital offers audiobooks and eBooks for desktops and mobile devices. RBdigial Magazines offers full digital copies of popular magazines. Follow the steps below to get started using either of these electronic resources. Click on Register and fill out the form. Enter a “P” in front of your library card number. Visit either RBdigital Magazines or RBdigital (audio and eBooks) depending on what you want to check out. Enter the username that you created when registering.